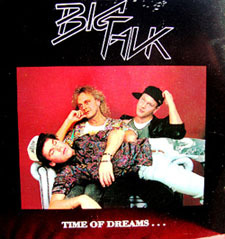 An independent release from this trio which at the time caused a huge stir in their local Swedish melodic rock scene. Why? Namely for the sheer quality of their material, albeit only seven tracks, and the resemblance to many of their heroes such as Journey, Toto, though keeping in mind many of their Swedish luminaries playing the same style, a la Easy Action. I'm not sure exactly when this came out, because there's nothing on the liner notes, but someone did mention to me it was 1990 but I could be mistaken. Christer's vocals have a flavor similar to singers like Claus Lessman (Bonfire) or even Tracy White (Shotgun Symphony), while the arrangements are hi-tech and punchy. For seven tracks there's quite a lot to like about them. 'Rosie' for instance is great keyboard laced AOR, as is the opener 'Walls Of Fear', with it's powerful vocal from Christer. 'Angel Eyes' is another favorite with it's true to form AOR guitar/keyboard crossover. 'Moment Of Time' is a subtle ballad, which sounds as if it's got a million dollar production, while 'On The Radio' has a 'big' funky sound similar to the aforementioned Easy Action. On the other hand, the title track 'Time Of Dreams' has similarities to many Canadian bands such as Haywire and The Works, and has a cool solo section with lead guitar and bursts of keyboard parps and organ work. As it's only a seven track CD and not easy to find, you'll be pleasantly surprised if you track it down. I know many collectors are after this, probably because it's Swedish and it comes with a reputation. The first recording done at IB's new studio and the first to feature two new members of IB, percussionist Klas Assarsson and guitarist Jonas Christophs. Both are featured a great deal throughout this marvellous album. Jonas Christophs, electric guitars on track "Over the edge"
Isildurs Bane's first live album, but certainly not your average filler live 2-CD. This features performances recorded all over Europe during a vast amount of time. Some snippets of conversation are as old as the eighties, but most of the music was recorded during the late nineties, the new composition Celestial Vessel even being recorded on the millennium eve. There are many truly exceptional performances on this double CD including a unique version of The Voyage with a symphony orchestra and IB's first recorded cover (The Asylum, composed by Viking Dahl and premiered in Paris in 1920). A perfect introduction for newcomers to Isildurs Bane. "If you want to be introduced to the IB universe, I think MIND Vol. 2: Live is a perfect work. Vast and brimful with all sorts of music recorded at various places." Recorded by parts of Isildurs Bane (Mats, Kjell and Jonas) together with the three Italian virtuoso musicians that make up improvising group Metamorfosi Trio. Partly based on free improvisations and edited by Mats Johansson into compositions, this is a truly exciting CD that defies styles as easily as it brings them together. Check out Christian Saggese's mind-boggling acoustic guitar playing on The Sculptor! "An endeavour for us to broaden our musical realm. Metamorfosi Trio have almost been like teachers to us. The idea was to free ourselves from strictly arranged music for the time being." The first album by Isildurs Bane since Sagan om ringen to feature vocals. But make no mistake, the music sounds nothing like the songs sung in Swedish during the early eighties! Introducing no less than four vocalists and welcoming flutist extraordinaire Björn J:son Lindh back, this album appeals to both long-standing IB fans and newcomers who like to rely on well-played music with male and female vocals. "The music for this CD was composed to be enjoyed. There are many amazing new musicians on this album, and I hope that MIND Vol. 4: Pass, along with the other productions, can lead IB to an internal fresh period of creative work." After releasing four highly acclaimed CD's within their MIND concept, Sweden's longest serving progressive rock band deliver their first DVD, MIND Vol. 5: The Observatory. Filled to the brims with a concert, documentary footage, animations and four new, previously unreleased songs, this DVD is a must for all discerning music fans. The concert was filmed in September 2004 with twelve cameras. It presents Isildurs Bane in front of an enthusiastic crowd with perhaps the bands strongest and most versatile line-up so far, featuring a twin-guitar team, cello, and three vocalists in addition to the regular team. The documentary footage features unique clips from the band¹s past and present. From the late 80's until January 2005, from Sweden via Europe to North America, from Adolf Wölfli's cell at the mental hospital in Waldau to NEARfest, from a hot and sweaty stage in Budapest to a chilly beach in Halmstad. It's all here. MIND Vol. 5: The Observatory includes four brand new songs recorded exclusively for this DVD, expertly produced by Mats “MP” Persson. 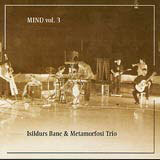 Isildurs Bane¹s first DVD includes many songs from the lauded MIND Vol. 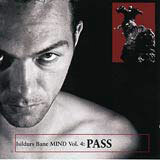 4: Pass and the frantic pièce-de-resistance “The Voyage” from the album of the same name. MIND Vol. 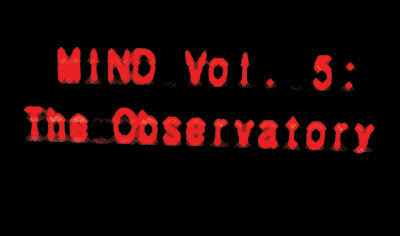 5: The Observatory was produced by Fredrik Timour for Ataraxia Productions. Songs taken from the DVD release, MIND Vol. 5 The Observatory + a brand new bonus track taken from the same sessions as the other songs on this EP.